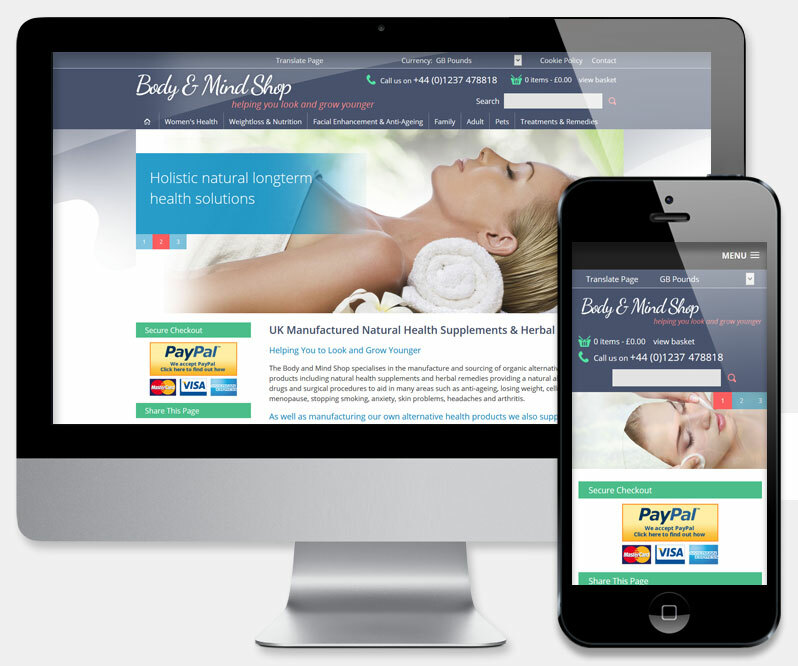 Having provided years of sterling service, it was time to update the original Body and Mind e-commerce website that we had created previously. We we were delighted to work with the client once again and to provide a more modern and fully responsive update of this popular site. The new website includes a vibrant new look and a host of UI/UX improvements, while remaining true to the original design concept. Paypal and Sagepay payments were retained and care was taken to incorporate existing branding elements as sympathetically as possible. As well as the new responsive layout, to work on all mobile devices, the site also includes an international currencies converter, popular products promotion -automated by using actual sales figures- client featured products, linked product recommendations and a sophisticated VAT inclusive discount system. Homepage testimonials are fed from the backend database.